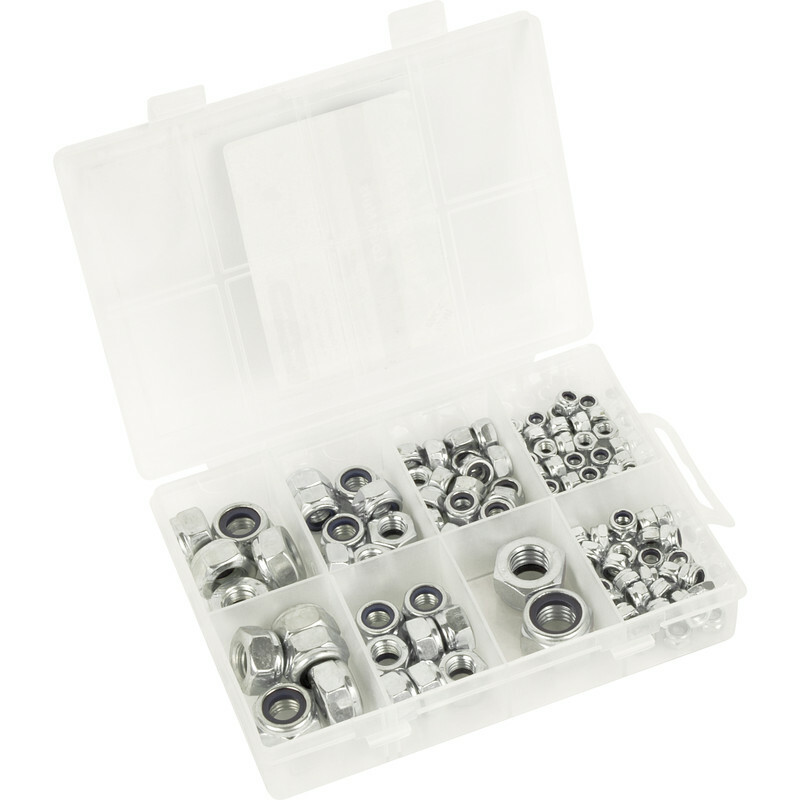 Assorted zinc plated hexagon nylon lock nuts in a mini organiser case. Lock Nut Pack (108 Piece) is rated 4.2 out of 5 by 6. Rated 5 out of 5 by fenboy from great selection This pack is ideal for those who don't want a large number of nuts all the same size. Just fixed the grandsons go cart seat with the 6m nuts. The pack is suitable for numerous jobs. Rated 5 out of 5 by AndyWadds1 from Useful pack of nylon lock nuts Very useful pack of various sizes. Rated 1 out of 5 by Princelone from Low quality Was not impressed. Tried using the m12 nuts in this pack and all 3 cross treaded with no pressure at all applied to them. The smaller nuts are better. Not sure what these are made of , but seems to me a lower quality metal.